Ambassador Priyanee Wijesekera was given her marching orders after calls made by Sirisena to the embassy in Vienna last week went “unanswered for several hours,” an official source said. 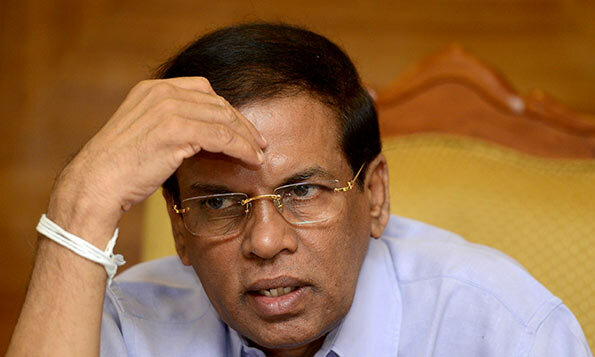 The source declined comment on why Sirisena needed to contact the embassy urgently or why he did not attempt to do so through the Foreign Ministry. The Ministry of Foreign Affairs confirmed the recall, but did not give a reason. The Sri Lankan embassy in Austria is also accredited to UN agencies in Vienna as well as Bosnia and Herzegovina, the Czech republic, Serbia, Slovakia and Slovenia. That call must have been to organise a Holiday in Vienna for the Leader and his Entourage of 100 persons following the visit to New York for UNGA. Make hay while the sun shines at taxpayer expense!